Ubud is and always has been Bali’s cultural and spiritual heart. And it’s a heaven for spiritual seekers and Yogis. There are plenty of options to dive deeper into your yogic practice or simply try out something new. I’ve visited for you 5 spots in Ubud during my time in Bali. Yoga Barn is often called a Yoga factory. And it definitely is. 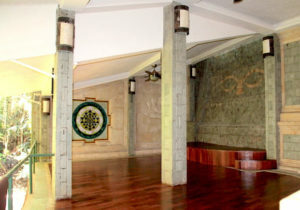 It’s huge, with 6 studios, a juice bar, the garden kafe, the Ayurvedic Massage & Treatment Center, and a guest house. They offer a broad schedule of over 15 classes a day, workshops, retreats and other events like free talks and community Yoga (free). But it is also an oasis. Putting your feet into Yoga Barn is like entering into a incense smelling, natural sounds listening Yoga cave surrounded by vines and big plants. Holistic pilgrims found anything they want from all styles of Yoga over Astrology and holistic healers. 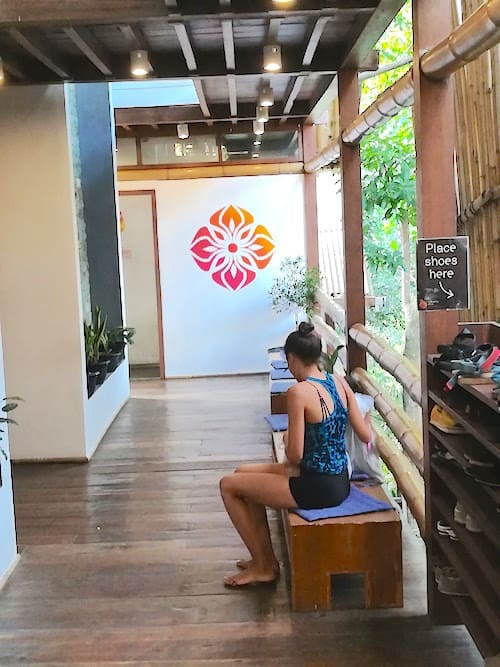 INSIDER: If you like to connect with your femininity and are a Yin Yoga lover, I can highly recommend the classes of Tina Nance! If you wanna hide Ubud’s busy main street you can come to Radiantly Alive, just next door. It has two studios and offers a wide range of different activities. 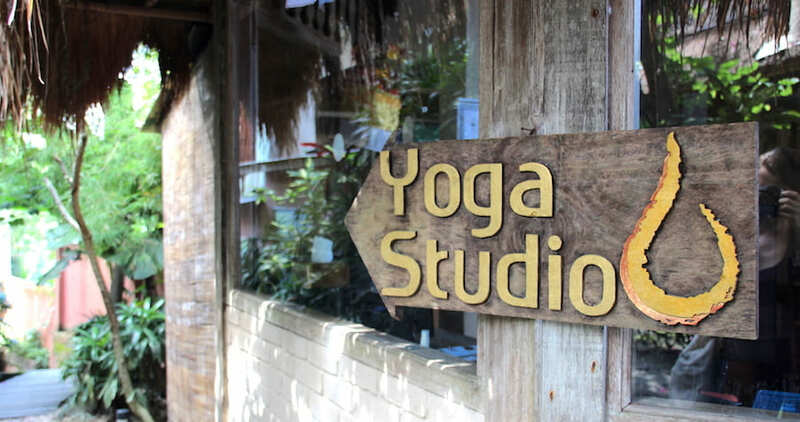 Beside Yoga classes, they offer as well therapeutic treatments like Acupuncture or Biodynamic Craniosacral Therapy. 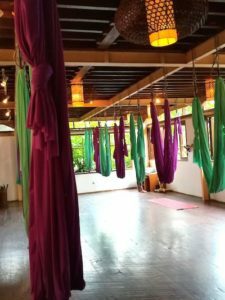 TRUE EXPERIENCE: I tried the hammock Yoga with Acacia! She’s hilarious! You will be definitely having a lot of fun in her classes! My personal favorite is this lovely Yoga Shala. It’s a bit off the track in the artistic area of Ubud called Penestanan. Linda Madani has created a place where you can connect to your intuition and your inner truth. Shift your perspective from thinking to feeling at Intuitive Flow. 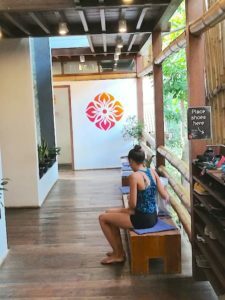 TIP: Visit a Pranala Yoga class and let Linda guide you through the intuitive flow of balinese healing and Yoga. 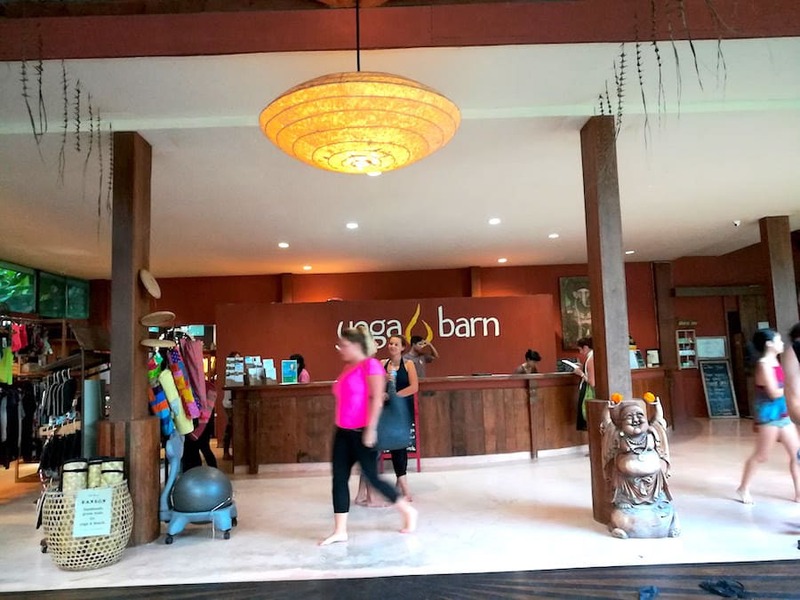 When I entered Taksu Yoga and Movement Arts I thought I am in a luxury Spa Resort – without guests. It was so quiet and many facilities were empty. 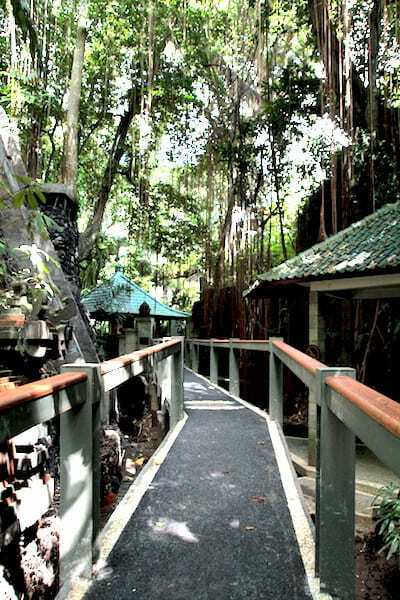 To reach the Yoga hall you have to go down the stairs and follow a small pathway through the jungle. It’s really like entering a hidden fantasy world with gnomes and fairies. 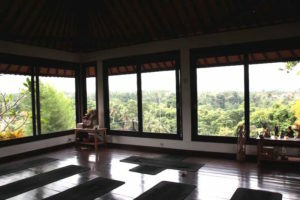 The Yoga class with the Indonesian teacher Agung (Hatha Flow) was one of my favorites in Ubud! He’s very authentic and believes what he teaches. But I am not sure if my yoga mates shared my opinion. For me it was easy to follow this quite traditional Hatha Yoga Class. But for beginner it might be a bit difficult and risky as he doesn’t really have a western approach. So no further instructions about avoiding injuries or pose modification for beginners. All in all I really enjoyed the class and afterwards I enjoyed my Jamu Drink (free after every class). 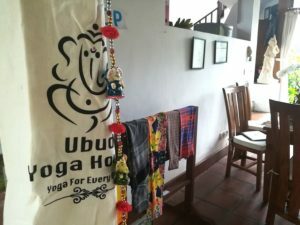 Ubud Yoga House is literally a house. It’s the home of founder Sheila. And she chose for her eight angled house the best location in town: in the middle of the rice fields. Really. You have to cross this mini-pathways between rice fields to reach her studio (take care of camera and mobile phone). There are international an local teachers giving classes all week. And you can attend other nice events like singing bowl or candle light meditation.